Fujifilm has now added the Fujifilm X-Pro1 to its line of cameras … Fujifilm’s first mirrorless interchangeable lens camera. This long awaited and much rumored high end camera appears to be aimed specifically at the professional photographer market. The X-Pro1 is an all new camera system with its quality prime lenses (shown below), brand new mount and a tack-sharp sensor. Add the unique hybrid optical viewfinder and its retro look and you have a camera designed to appeal to the professional and enthusiast photographer. Review Summary: It’s not just a retro look that distinguishes the Fujifilm X-Pro1, but its cutting-edge hybrid optical viewfinder and emphasis on quality prime lenses. Excellent image quality with very clean detail is the extra surprise inside. Pros: Quality build; Unique hybrid optical viewfinder; Excellent LCD; Good controls; Excellent image quality. Cons: Limited to prime lenses (for now); Loose aperture ring and EV dial; Mediocre autofocus speeds; Slow buffer clearing; Tripod socket too close to battery compartment. Pricing and availability. 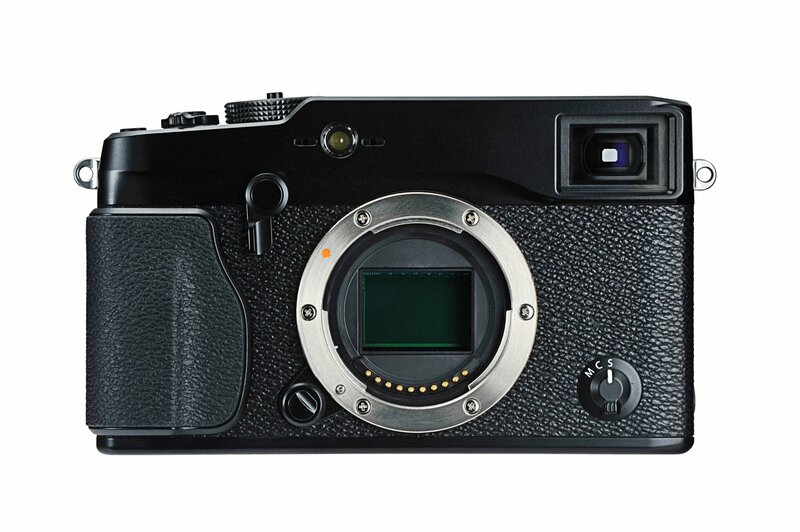 The Fujifilm X-Pro1 and the first three XF lenses went on sale in April 2012. Suggested retail price for the body is US$1,699.95. The XF 18mm f/2.0 and XF 35mm f/1.4 are both priced at US$599.95, while the XF 60mm f/2.4 macro is priced a little higher at US$649.95. You can read the very thorough review by Shawn Barnett, Mike Tomkins , and Zig Weidelich at the Imaging Resource link above. Also, another excellent review can be found here on dpreview.